Dale Mansfield reached his limit! This week we are getting a double private trout plant. Next week will be a triple plant by Thanksgiving, which will be the end of the plants this year. This Thursday we will be filling our trout net pens with little fingerlings that we feed until the spring when we start releasing them when they reach approx. 2 lbs. in size. Ethan & Muaj Her from Linda limited out on trout over the weekend while fishing with white PowerBait in Elmer's Cove. 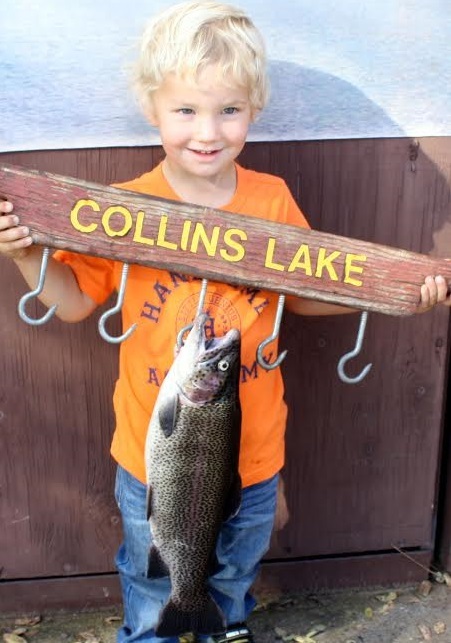 Young Jordy McCune landed a beautiful 3 pound trout on a Kastmaster lure. Emily Luna caught a 3 lb. 4 oz. trout by the beach and she used green PowerBait. Gregory Huffman from Placerville caught four trout just this morning by the dock on live worms. 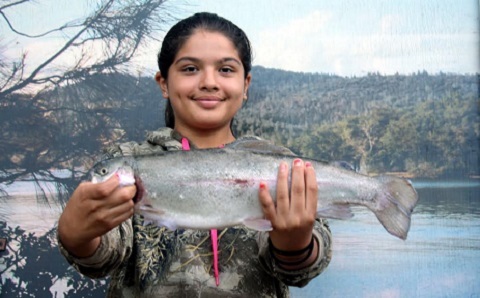 Natalia & Mikayla Smith from Olivehurst used a variety of lures and caught a trout, 3 Bass, & 2 Crappie. Landon & Jayden Kawazaki from Rocklin fished near Goose Island with worms and caught three nice Rainbows. Chris Hazen & Dwayne Cassita caught and released many trout while fishing from the sand beach using PowerBait, they took a few home for supper!! David Bunting caught two trout on PowerBait and he fished from shore along the Open Area shoreline. 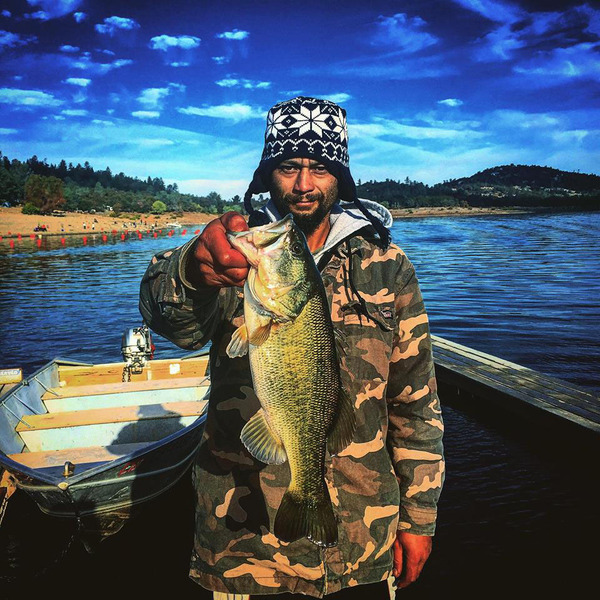 Vincent Vang from Yuba City fished near the dam and hooked a nice 4 lb. 12 oz. Catfish on a worm. 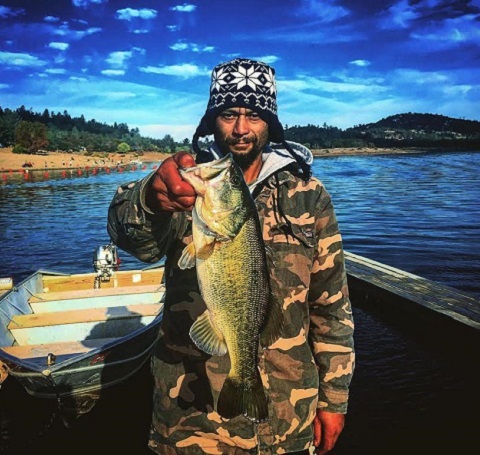 Devon Black one upped him and caught a 6 lb. 4 oz. Cat, also by the dam. 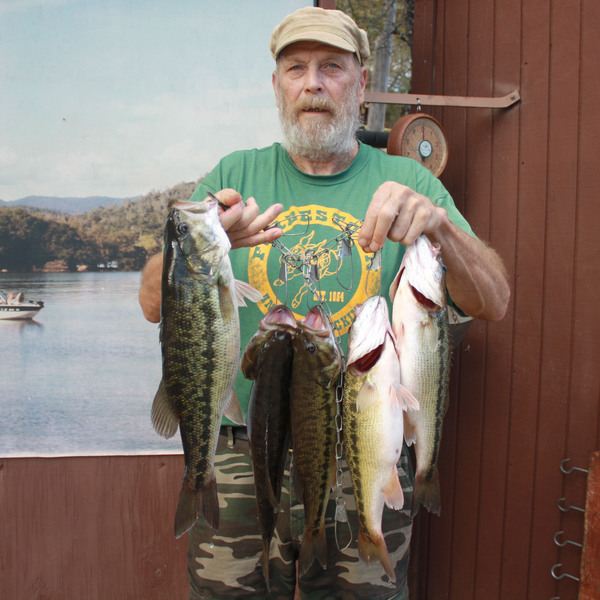 Dale Mansfield of Forbestown fished by the dam using live crawdads and limited out on Bass, his biggest weighed 3 lb. 5 oz.